I love this place....I've purchase three vehicles from this place!!! Everyone I worked with from Sales, through Finance, to the Servive department was very helpful and was willing to work with me to make sure I got everything I needed. It was a great experience. Service yesterday was very good experience....a warranty repair was done on a recall I didn't know about....items were written down for next visit. Received a complimentary car wash and they found my lost credit card!! 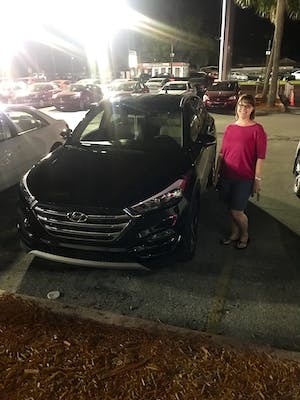 Nicholas Newcomb was really great he worked very hard at making sure that I didn't leave Westside Hyundai without a new vehicle. He's Awesome!!!! Nick is a great salesman and friend. He and everyone else at the dealership worked very hard to get me financed, despite my less than stellar credit. I left with a car I love and a deal I was pleasantly surprised with! My experience with Westside Hyundai was spectacular and Nickolas, Lionel and Justin were great and professional. I would recommend them to all my friends and family. Thank you for great experience and great service. i stopped in westside hyundai with my son's girlfriend to purchase a vehicle for him while he's on military duty in iraq. upon arriving we where met by a sales person named Hsienchi. i gave her an idea of what my son was looking for and in no time we had a deal. Hsienchi was very nice and professional. Nick Newcomb made me a deal I couldn't refuse !! He went the extra mile to get me approved and in my budget. Thank you a TON!!! Love my new accent!! Nick Newcomb really did his best to get us the best deal possible. We now have 2 new Hyundais in the driveway and would recommend Westside Hyundai to all our friends. Hsienchi did a great job and made sure im happy with my car and i finally got the car i wanted two years ago! I would definitely go back again next purchase! Just bought my fifth car here and the experience was the best as always! Nick Newcomb is very knowledgeable about all the cars we looked at and very attentive to our concerns and questions. Also made sure we got the best deal and trade in possible. Thanks Nick!!!! Nicholas Newcomb helped me purchase my 2016 Hyundai Veloster Turbo today. Overall an amazing experience and quick. Will return and would recommend to anyone. 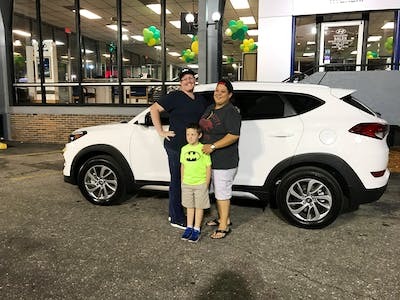 Came in to purchase 1 vehicle and left with 2 vehicles after our salesman Nicholas Newcomb met some very difficult requirements I set out for him. He and the finance department did an amazing job finding the cars I wanted and crafting a deal that was good for me. Highly recommend Westside Hyundai. I was very satisfied the my new vehicle and service included. This is my fourth Hyundai and I expect to continue to buy and recommend Hyundai vehicles. I recommend Hsienchi and George they gave me everything I wanted. 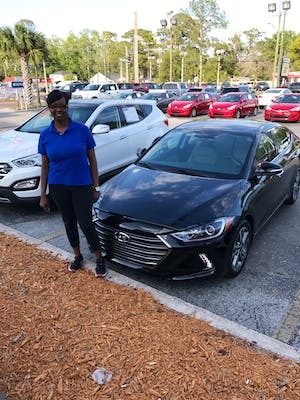 Devon Jones has been very helpful and has sold me a car that I think I will be very satisfied with. My original purchase 3 months ago was not satisfactory but George and Devon wanted me to be happy and found me this new deal. Dealer is clean and staff are friendly and professional. Hsinche was amazing to work with. This is my 2nd car from Westside and this experience was so much better than the first time 3 years ago. I was shopping for a reliable car for me and my kids. I am happy with the service they provided and the ease of the total experience!! I will be sending my friends and family here!!! !